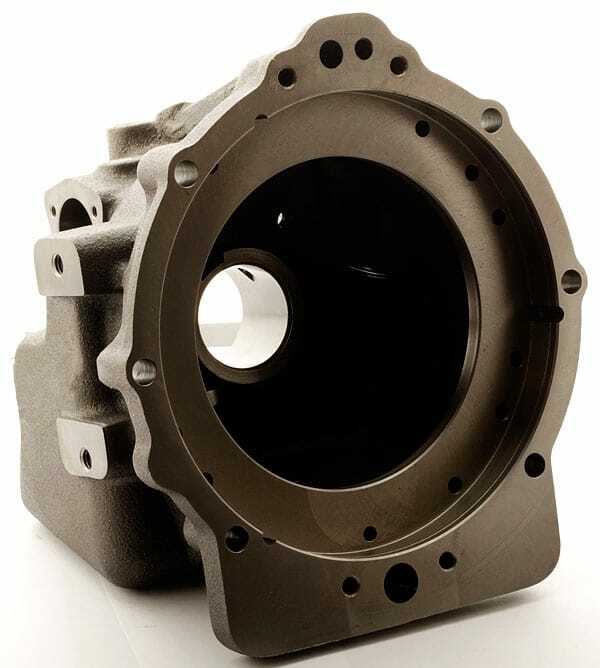 Machined sand castings give an advantage of several production features which are normally “added-on” in other die casting processes. This gives a cost reduction in all production areas. 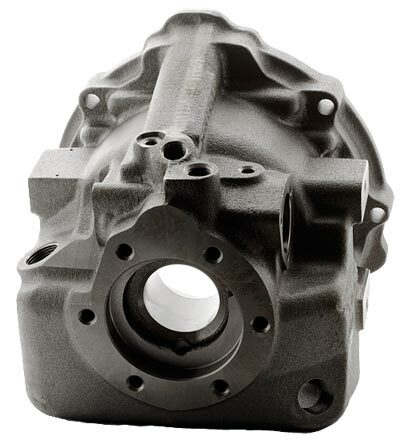 Cast iron is one of the most free-machining ferrous materials. Reliable microstructure, is the key to optimum iron machined castings because cast iron shows vast machining tendencies related to composition and microstructure. The primary factor to analyzing different types of cast iron is the shape and size of the graphite particles. The microstructure makeup of cast iron, composition, dispersion, particle population density and aspect ratios, significantly affect machined castings. Sand cast iron’s mechanical properties are enhanced with additives such as silicon, magnesium, chromium, molybdenum and copper. Gray Iron is characterized by randomly oriented graphite flakes, which develop brittleness and poor ductility in the material. It is used widely in the automotive industry for engine blocks, brake disks, brake drums and housings. Gray iron has excellent machinability with superior wear resistance characteristics and damping capability. Ductile Iron is popular for wheel parts, crankshafts and camshafts. In ductile iron, the graphite particles, due to the injection of a small amount of Mg in the melt, exist in spherical shapes that provide superior ductility and high strength and toughness. In general, ductile iron (such as grade GGG40) is easy to machine but produces built-up edges on the cutting tool due to its higher ferrite content. Machining certain grades of ductile iron (such as GGG60) will result in rapid insert wear due to pearlite content. Compacted Graphite Iron has graphite particles which are randomly oriented and elongated similar to gray iron, but they are thicker, shorter and have shorter edges. The interconnected compacted graphite provides slightly higher thermal conductivity and more damping capacity. With the evolved process control technologies, CGI use is growing in the automotive and heavy truck industries with components that are prone to have simultaneous mechanical and thermal loading. High Alloy/White Iron is produced via rapid casting solidification and provides high compressive strength and excellent wear resistance. White iron contains large quantities of hard carbides that are difficult to machine and are responsible for high tool-wear rates. In addition, high-alloy irons (including high alloy white, gray and ductile iron) have extreme abrasive wear, heat and corrosion resistance, low thermal expansion and non-magnetic properties. Since every type and grade of cast iron is unique, machining cast iron components depends upon the material’s graphite structure, microstructure of the metal matrix and temperature-to-time history of the castings.